I normally find a color that I obsess over for a certain period of time and sometimes these periods can be extendeddddd. Hence I feel like “GOLD” as a color was invented/ discovered/ was brought into existence just for me. 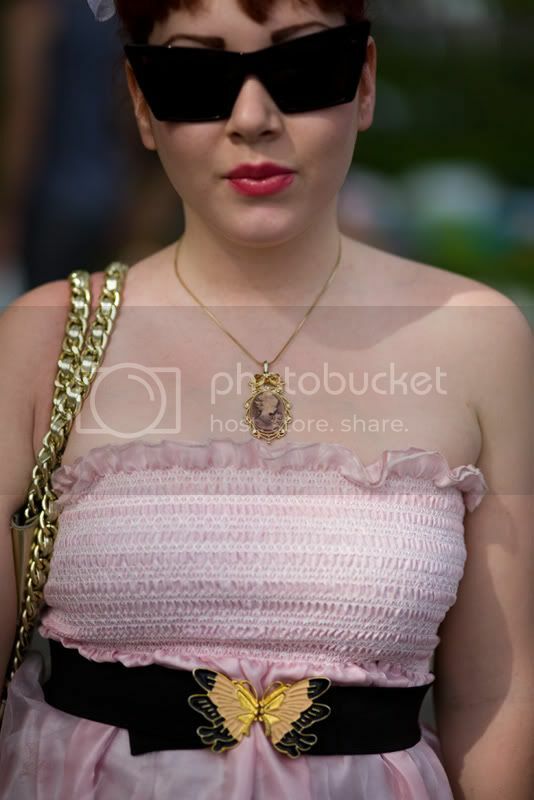 Turns out, its not really true L. Apparently Gold looks great on almost anyone and Samantha is rocking that Betsey Johnson Gold bag. I also love Betsey Johnson as a personality. She is so out there and a whole class of creative apart. Loved that she showed up on Project Runway in a leopard print dress and that hot hairdo of hers. She’s just super hot!! Isn’t it freaking cool that Samantha made this outfit herself and that bow for her head? FYI, you can find her on Etsy as “Bows by designer Samantha Rose”. And that shot with the sunglasses is incredible IMO. But like Mugdha Godse she's teamed black with that pretty pink! Sort of harsh isn't it? But that's me..:( Dont bother..
Great street style spotting again! I like this crazy wonderful outfit a lot! It would not suit my personality and style, but when I see other people wearing something like that and I see it suits them 100%, all I can say is just "WOW, that's great!" i love her glasses and butterfly belt. 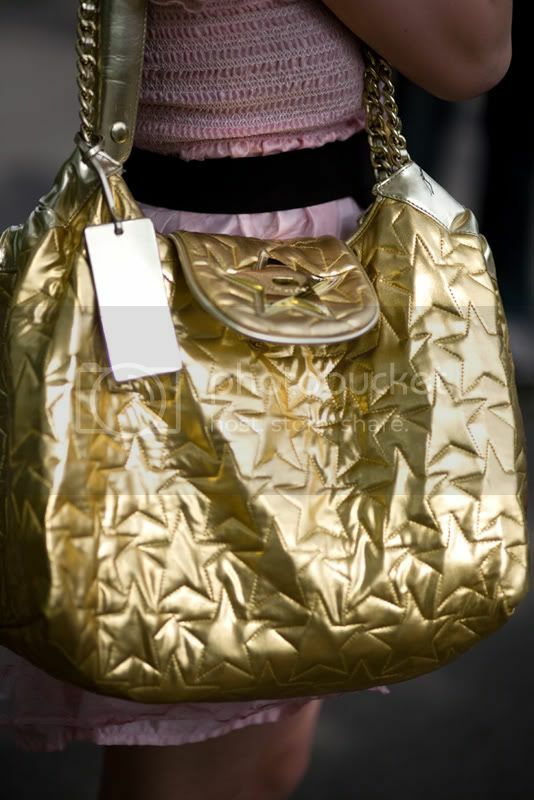 Love her edgy and quirky fashion sense, from the bag to her pendant to that gorgeous bow...all fabulous! Love the necklace... I love cameos! honey, I love your necklace, bag and belt... well everything on this outfit!! it looks terrific!!! I like her attitude!! that last shot is so cute! thank you for passing by and leaving your sweet comment, don't hesitate to come back :D remember that you can keep in touch with my blog also via bloglovin and faceboook :P cu soon!!! The outfit is a bit cheesy and over kitsched, but I like her attitude and how she presents her pinky outfit.Today 10-like points. Oooh I love her look. Thanks for your lovely comment :D!! I'm so glad you like it! Love that last shot! I love Betsey Johnson so much! She is so friendly and runs her business in such a wonderfully down to earth fashion. I want to kidnapp this girl and she brings me fun in my life!!! i love her, she's fabulous! the hair sold me though, her fringe and colour are amazing!!!!! 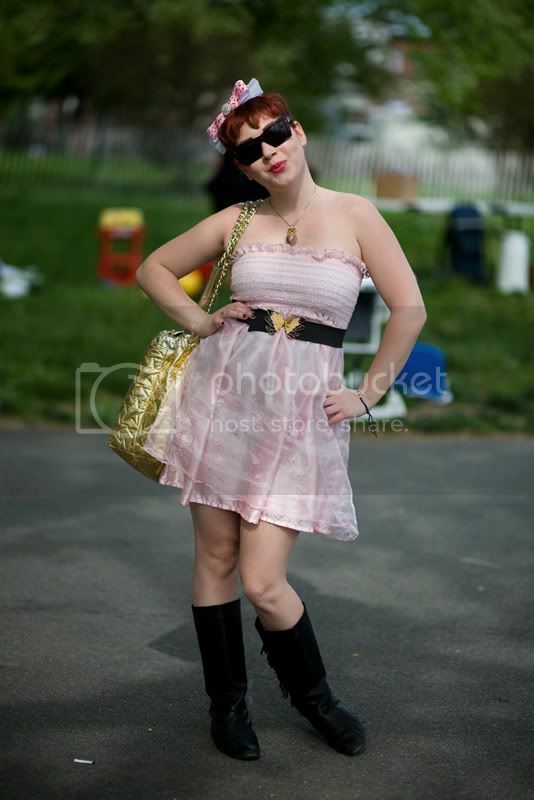 awesome street style :) loving your blog, definitely a new follower for you !!! I followed! I'd love for you to follow me too! !